It was another full day of practicing retirement from the time Lilly got us up at 7:30 until now at 9:45PM. We did our coffee and blog reads to start off with~ then had breakfast and eventually got around to packing up and getting "Ossumer" on the road for a short 1.5 hr run to Barneys Island to the Cranberry Campground. We actually took about an hour to set up for some reason in the past it was like a marathon setting up we now do the jacks, water, power, dog pens and mats and then have a sit down in the lawn chairs for a bit before going in to run out the slides, turn the seats etc. Then sit for a bit again and maybe have a coffee then set up the satellite might want the TV tonight.You get the picture this is practicing for retirement there is no rush anymore. Life is Good. We took a drive out to Big Island late this afternoon its called an island but is really connected to the main land by a narrow sand bar that has a road built on top of . Nice drive and lots a nice scenery. Cranberry Campground http://cranberrycampground.ca/ is a first visit for us and its not too bad a place but still a work in progress, good WiFi and good cell service all 50amp, nice view of Barneys River, gravel roads, and fair size grass lots. 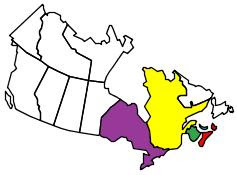 Its off to Cape Breton Island tomorrow with about a 2.5 hr drive ~have to be on the road early no later than 11:30am its all part of the practicing. Cousins came to visit that live in the area so we had a nice 'catch-up"...On the way back from Big Island we took a run into New Glasgow and pick up some groceries ~wow its been a busy day!! Until the next time stay safe and have fun. "Home is where you park it." Sounds like you've got the hang of it but keep practising! keep on practising! !..sounds like great fun!!!! Bob & Jo-How to Love Where You Are and Eat Where the Locals Eat!! We are not heading back to Mexico for the 2015-16 Winter season. Yoo Hoo ~aNyBoDy OuT tHeRe? 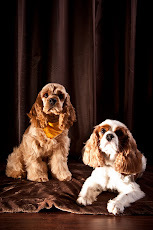 Introducing Rocky & Reba Redwood! What's Up With the Warrens? Is it Windy in Here or What? A long Hard Day Today! Part 6- What is Meant to Be will Be!!! How did you Start RVing-Part 1???? Will I Ever Be a Decent Blogger? Is this Not Tuesday???? Where do We live??? Awww its Saturday-Travel day for us! We have left the building!! !